Legendary singer-songwriter James Taylor has announced a 12-show run in Las Vegas this spring at The Colosseum at Caesars Palace. Taylor will be joined by his All-Star Band for the limited engagement. Tickets for shows scheduled April 17th through May 11th. The dates will feature a custom-designed show that includes among other gems, the return of Taylor’s One Man Band drum machine that he co-designed. See a video below after Taylor pulling the custom-built drum machine out of storage. The following 12 performances are on sale via ticketmaster.com. Orders of ten or more tickets please call 1-866-574-3851. 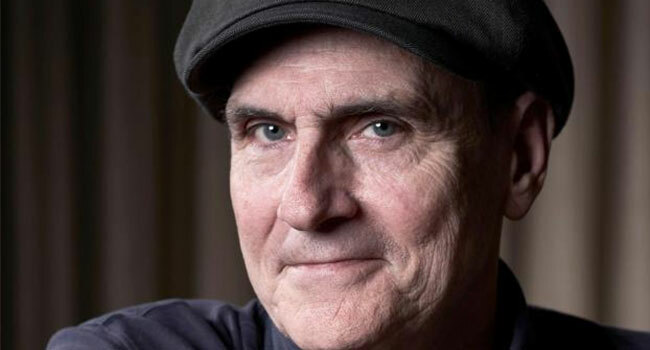 As a recording and touring artist, James Taylor has touched people with his warm baritone voice and distinctive style of guitar-playing for more than 40 years, while setting a precedent to which countless young musicians have aspired. Over the course of his celebrated songwriting and performing career, Taylor has sold more than 100 million albums, earning gold, platinum, and multi-platinum awards for classics ranging from “Sweet Baby James” in 1970 to “October Road” in 2002. In 2015, Taylor released Before This World, his first new studio album in thirteen years, which earned him his first ever No. 1 album. He has won multiple Grammy awards and has been inducted into both the Rock and Roll Hall of Fame and the prestigious Songwriters Hall of Fame. In 2012, Taylor was awarded the distinguished Chevalier of the Order of Arts and Letters by the French government and the National Medal of Arts by President Barack Obama in a White House ceremony. In November 2015, Taylor was presented with the Presidential Medal of Freedom, the nation’s highest civilian honor. In December 2016 Taylor received the Kennedy Center Honors, which are presented annually to individuals who have enriched American culture by distinguished achievement in the performing arts.